American Motorcycles Norway / Veteran-Mc.com: To step or not! Have been digging in some dark corners of my workshop today, where light have not been spread for years. Did I do any discoveries?, indeed I did. I found a really cool old gearbox. A Harley gearbox, of course it was. But this specific gearbox was in its time a big change for the Milwaukee factory. For Harley as most manufacturers it all started with belt pulleys with slipping mechanisms allowing the rider to halt. Further on the rear wheel hub gears was tried and abandoned in 1914, finally in 1915 the gearbox was an option for the modern man, who dared. 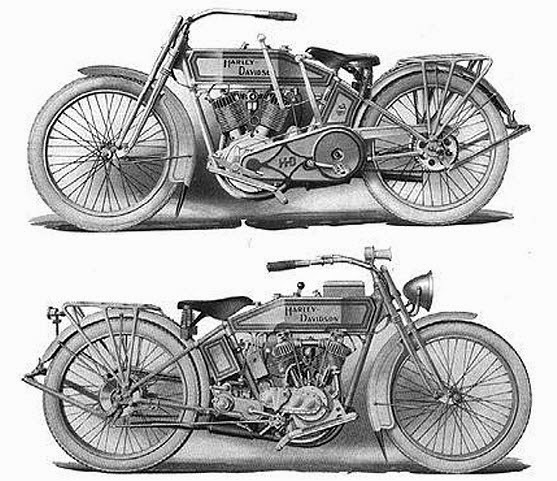 The three-speed gear for the 1915 Harley-Davidson is a ‘’regular automobile fellow.” Outwardly not conspicuous, its “bones” are large and husky. 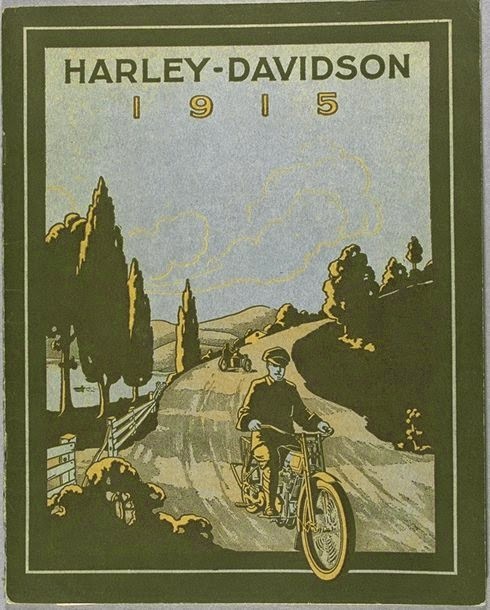 It’s the big Harley-Davidson feature for 1915. The illustrations in this issue show that in the three-speed model the free-wheel feature, which with the two-speed is at the rear hub, is now at the countershaft, integral with the three-speed gear. The change only slightly alters the line design, which remains distinctly that of the Silent Gray Fellow. The gears are claimed to be noiseless and can be banged back and forth without injury. They are eight pitch and have a half-inch face-as big as gears used in many automobiles. The distance between centers is short. The spline shaft and jack shaft are so close together that there is no play. The rigidity of the gear box is such that some of the machines in the engineering department have been run 8000 miles without any indication of wear or play in any part of the gear. The step-starter, the clutch and the three-speed are mounted together on a drop forging which is part of the frame. The front chain can be adjusted by simply sliding this unit on the frame. It can be locked instantly and the adjustment is such that the transmission is always in line. The rear chain is adjusted in the usual way. An illustration of the top of the gear box shows the locking mechanism, by which it is made impossible for the gears to be shifted without releasing the clutch, thus doing away with any chance of stripping gears through carelessness. For side car purposes the three-speed is ideal. With the standard gear of 3.89, used on the twins, the intermediate gear of 1 ½ gives a ratio of 5.83. In traffic or rough going, the motor can be run on the intermediate indefinitely- a relief from racing the motor on the low. The low gear, with its Increase of 2 ¼ gives ratio of 8.75, which ought to pull both the driver and his side car passenger through almost anything. To accommodate this increased power, the chains and sprockets are larger. Both are 1/8-inch wider and the three-speed model has a 16-tooth engine sprocket. This it is believed, will more than double the life of the transmission. It is claimed that, in the low, the new model will climb a 45% grade with side car and passenger, and that it has taken a 60% grade without side car, “without a murmur.” The touring radius of the three-speed twin is claimed to be double that of a two-speed machine. As for care, -no adjustments; a little oil now and than, that’s all. Obviously some owner of this great 1915 Harley at some time in history was ashamed of the pedals causing the motorbike having a bicycle appearance. No problem though, every farmer boy have a hacksaw and his neighbor welding gear, voila pedals became a single pedal starter as the 1916 models and on had.